Gunners set to spring surprise on rivals. 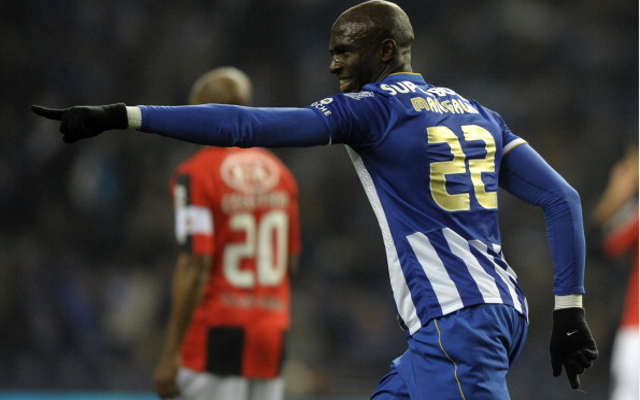 Arsenal boss Arsene Wenger is believed to be in secret talks with the agent of FC Porto defender Eliaquim Mangala ahead of a huge move when the summer transfer window reopens. CaughtOffside understand that Wenger is keen to add some more weight to his defence after the press have continuously linked him with forwards as well as speculating over the future of club skipper Thomas Vermaelen. And Wenger is said to be ready to stump up the cash on a £32m deal to bring the young Frenchman on board after Saturday’s shock 5-1 defeat to top four rivals Liverpool. The Gunners back line has been strong for the majority of the campaign, but their capitulation against Brendan Rodger’s men has forced him to reconsider his transfer options, but he is still hot on the trail of a new striker to settle fans fears. Mangala has seen himself linked to some of Europe’s top clubs for the best part of a year now, with the likes of Manchester United, Manchester City, Chelsea and Juventus all said to be circling his signature at the end of the season. However, Chelsea have since taken a step back following their acquisition of St Etienne’s Kurt Zouma last week. The 22-year-old still has just under two-and-a-half years left to run on his deal at the Estadio Dragao and as he is currently rated at around £22m, the Gunenrs would need to up that considerably in order to bring him to the club. Managala has currently made 26 appearances for the Portuguese giants so far this term, and though he had been linked with a move over the new year he had resisted the overtures that came his way in order to help the club try and repeat the success of last season. However, he is keen to test himself at a higher level and a move to England is said to be appealing to him. He is also looking to sort out a move before the World Cup in June. He has so far made just one appearance for France, but is expected to be included in the final 23 selected to travel to Brazil. Wenger is hoping to keep a lid on the talks until he is able to agree a deal in principle, though that may take a few weeks with the imminent return of the Champions League this month.